Honda Civic Type R concept revealed in Geneva | What Car? 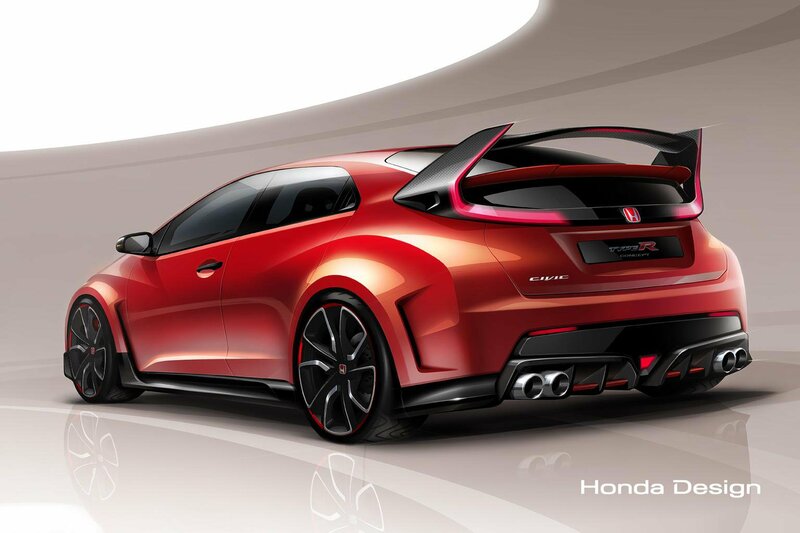 The latest concept version of Honda's Civic Type R has been revealed at the Geneva motor show. Described as a 'racing car for the road', the finished car will not go on sale until 2015, when Honda intends it to be the fastest hatchback of its sort. It will come with a turbocharged 2.0-litre petrol engine producing more than 276bhp. The Civic Type R will also aim to be the most efficient model in its class in terms of CO2 emissions, according to the car's project leader, Suehiro Hasshi. There's also a chance a future Type-R will come with a dual-clutch automatic gearbox, Hasshi told What Car? at the 2013 Frankfurt motor show. 'We believe the transmission system of a high-performance model in this segment will have a double-clutch transmission. We are proceeding with the development of that,' he said. Hasshi moved to reassure Type R fans that the move to a turbocharged engine would not spell the end of the brand's characteristic high-revving nature. 'Honda was known in the past for its high revving engines. Now we have switched to turbo engines we will try to maintain that status,' he added.